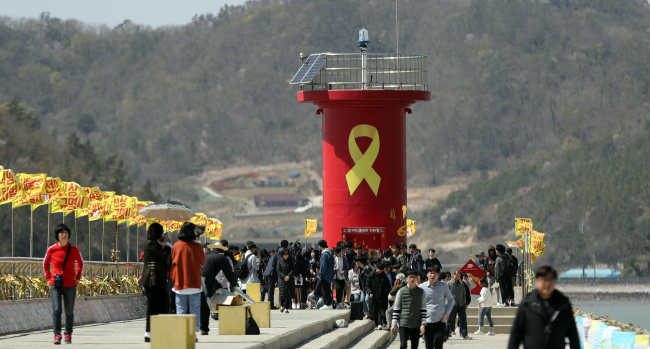 President Moon Jae-in on Tuesday pledged continued efforts to find the truth behind the 2014 deadly sinking of a South Korean ferry and the previous government's much-condemned response at that time. 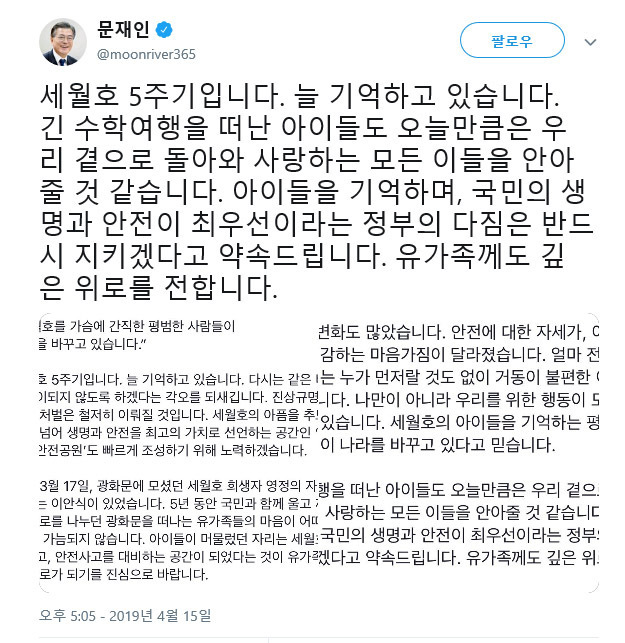 Commemorating the fifth anniversary of the Sewol tragedy that killed 304 people, Moon also said that his administration will get those responsible punished thoroughly. "I always remember (the accident)," he wrote on his Facebook account. The president said he's determined to prevent such a tragic case from recurring. He added the government will strive to create a memorial park, named the 4.16 Life and Security Park, at an early date. The ferry sank off the southwestern coast of the peninsula on April 16, 2014. Most of the victims were teenagers on a school trip to Jeju Island. Evidence of negligence by the Coast Guard and the ship's captain and crew was found in a probe. The then Park Geun-hye administration's handling of the incident added fuel to public criticism of the country's first female president.